How's your Tree Planting Marlow? Planting trees is not something to be done haphazardly. There are various things that need to be taken into account so as to make sure that the trees that are planted survive and flourish. So if you have never engaged in tree planting Marlow, it is best that you seek some advice and guidance. Creative Landscape Co specializes in tree planting Marlow, both in terms of tree planting advice as well as taking care of the planting itself. 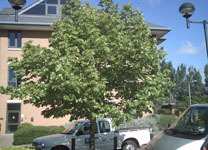 Be it for commercial grounds or a domestic garden, we will be able to recommend the most suitable trees to be planted. 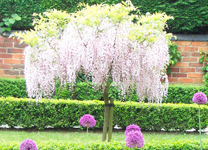 We will take into account the type of soil, the climate, and the shade or sunlight that they will be exposed to, and based on such factors we will help you choose the most suitable trees for your garden or grounds. For tree planting, Marlow residents know how much we can help. We are not only experienced in tree planting, but we also have a passion for it. Our planting team will make sure that the ground is properly prepared for the planting too. They will also be happy to discuss any specific preferences that you might have and whether they will be suitable for your landscaping project. So for any tree planting service in Marlow, you needn't look further as Creative Landscape Co is your best option for a truly impeccable landscaping service. 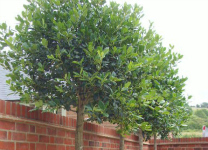 We will make your tree planting investment worth the while as your garden will literally thrive. Visit us today for your consultation.